The news is out: German Stevie Awards winners were announced this morning at a press conference in Munich, Germany. The big winner of the second annual German Stevie Awards is Public Relations agency, Weber Shandwick Germany. They were the most awarded with six Gold, a Silver, and three Bronze Stevie Awards. The press conference and Periscope event featured Michael Gallagher, President & Founder of the Stevie Awards, judging chairman Christiane Shulz (Weber Shandwick Germany), Wolfram Winter (Sky Germany), and Klaus Mitterer (intelliAd), who all announced the winners. More than 50 executives from all over Germany reviewed nominations to decide who received the coveted Stevie Awards. The judges intensely reviewed entries, selected some of the most innovation solutions, and ultimately named the Gold, Silver, and Bronze Stevie Award Winners. Next to Weber Shandwick Germany, Havana Orange GmBH was the next big winner of the year. The marketing agency based in Munich won three Gold Stevie Awards as well as three Silver and Bronze. Other organizations that won multiple Gold Stevie Awards include: Alacris Thernostics (Berlin), German Post DHL Group (Bonn), ZF Friedrichshafen (Friedrichshafen), King & Mayr (Geilenkirchen), mobilcom-debitel (Erfurt), and Vodafone (Dusseldorf). Taking home the Stevie Award for the most innovative technology company of the year with more than 2,500 employees was ABB AG (Mannheim) and Startup of the Year was won by Consus clinic management GmbH & Co KG (Freiburg). Inventorum GmbH (Berlin) took home Retail Company of the Year. 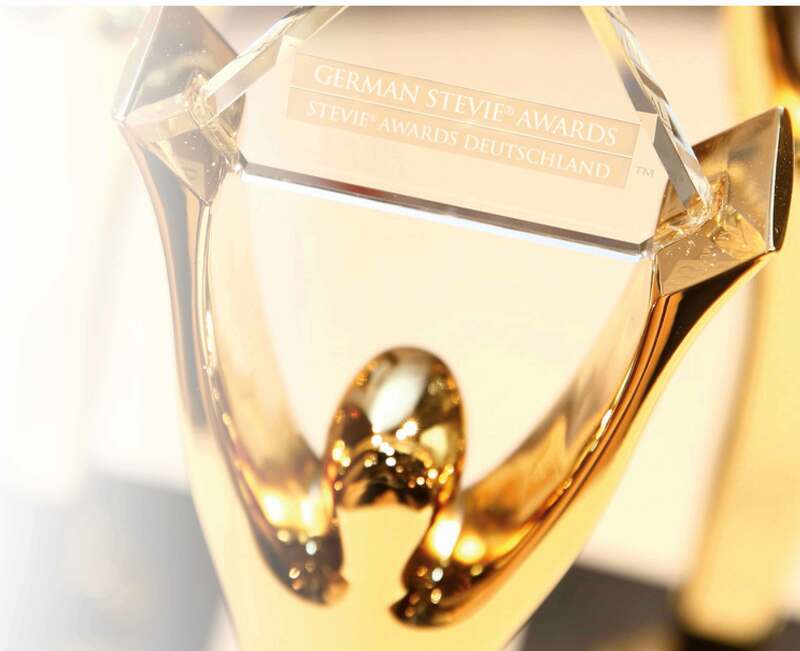 All Stevie Award winners are listed on the German Stevie Awards homepage at http://stevieawards.com/gsa/2016-gewinner-der-german-stevie®-awards. Winners will be presented with their awards at an awards ceremony on April 8, 2016 at Hotel Vier Jahreszeiten Kempinski in Munich..